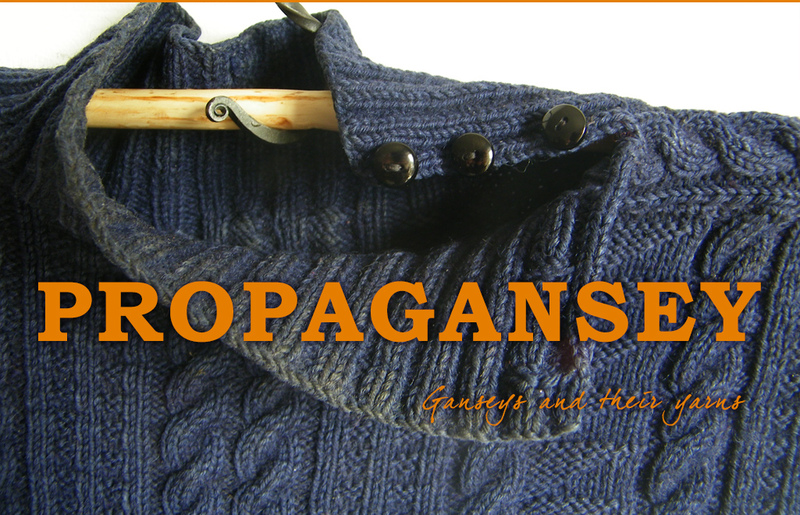 Propagansey – delve deeper into the fascinating world of the knitted gansey or guernsey. 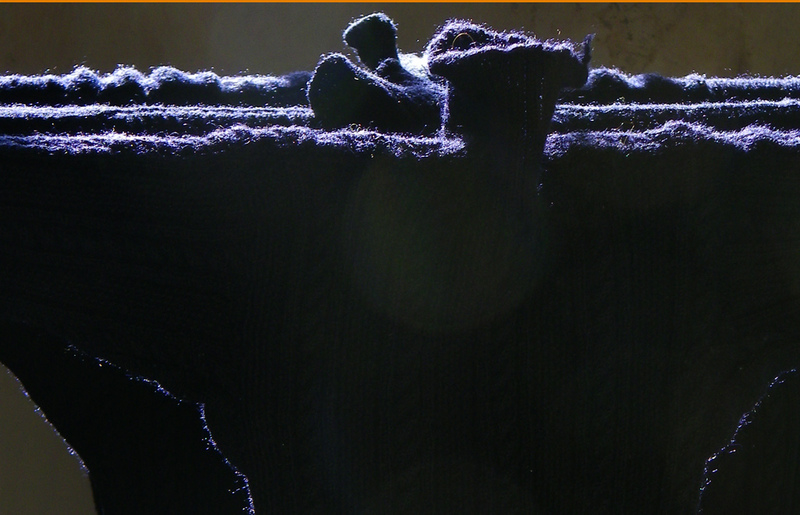 A close-fitting, usually seamless garment, frequently dark blue, often knitted in worsted wool on fine needles, traditionally worn by fishermen along much of the English & Scottish coastline, also Holland. 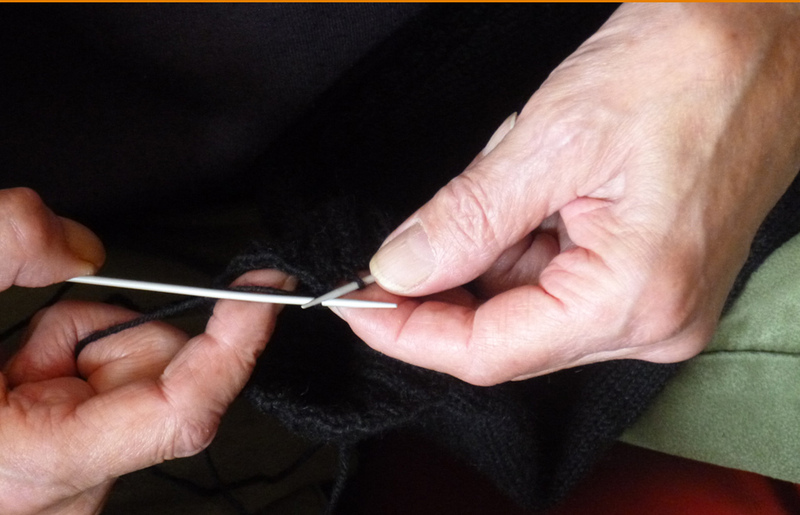 Knitters, like musicians, are no respecters of demarcation lines, intellectual property rights. 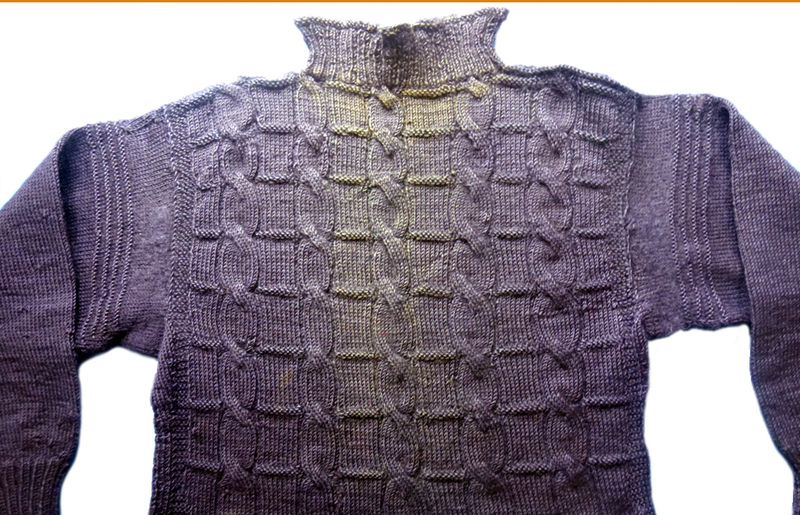 There are exceptions to every rule; but like folk music, which shares a tendency to slither away from attempts to define it with rules, you know a Gansey when you see one, yarns stranding back & forth, securing it into traditions of knitting & community. 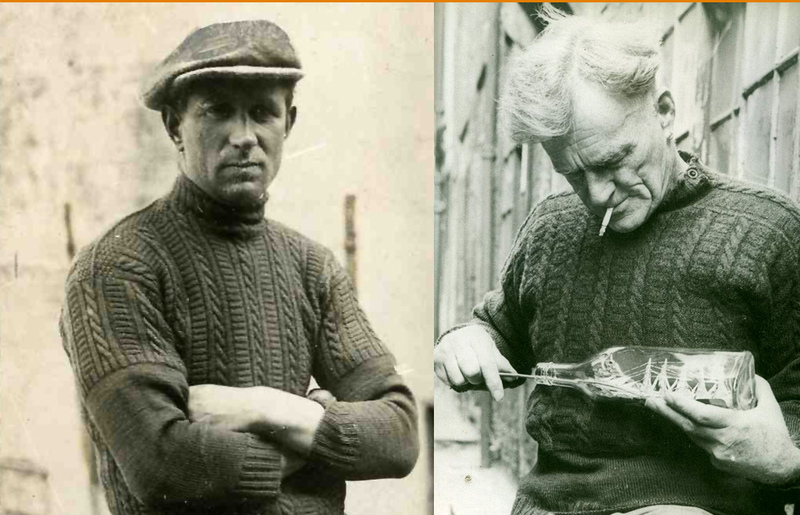 Patterns were committed to memory rather than paper & just as nowadays no-one’s cataloguing working gear such as overalls, Gansey details tend to have been overlooked by history. History is often written by men. 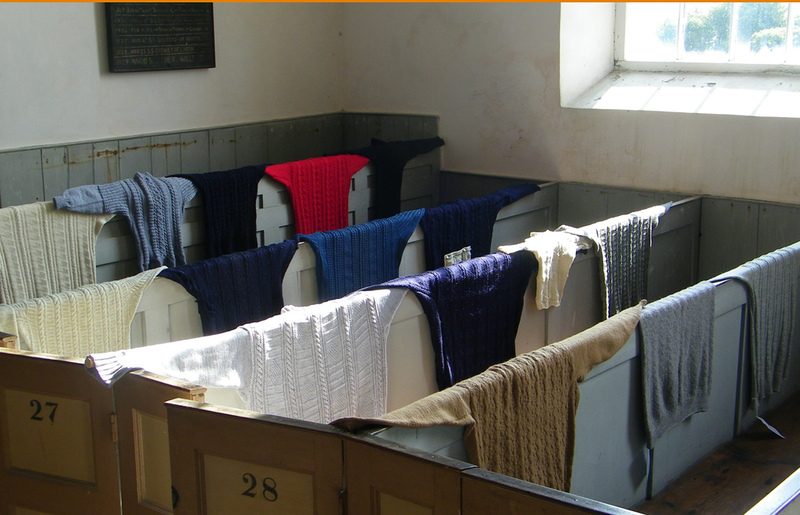 Perhaps Ganseys are herstory? 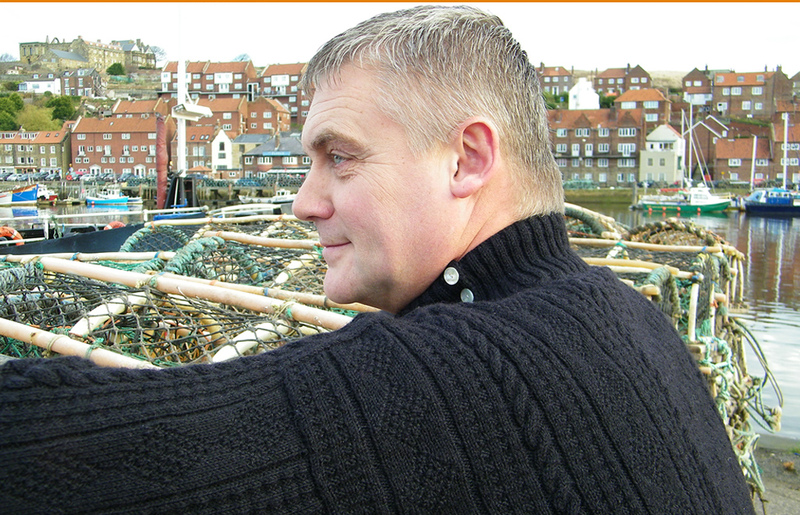 The stories they contain are an integral part of them.